I am running Easy Media Creator 10 on a Dell Inspiron 3541 laptop OS Win7 home 32bit. The Easy Media Creator 10 has worked very well for me over the years. I installed Easy Media Creator 10 on this Dell laptop and it worked fine. 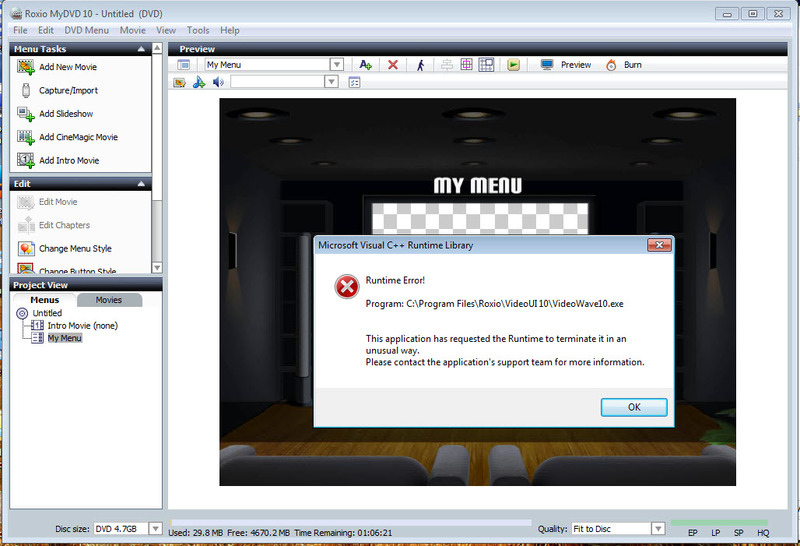 Now I get an error message when I try to open "mydvd" to burn a dvd, See the attached screen capture file. I tried a clean and complete uninstall and reinstall 3 times. I still keep getting the error message. I have dvd's that I need to burn and I can't because the prog is messing up. Try this (from Roxio Kb database).